Alan Hawkshaw & Brian Bennett - Full Circle LP. Vinyl LP. Bleep. 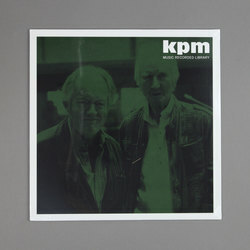 The names of Alan Hawkshaw and Brian Bennett may not ring many bells, but no avid collector of hip-hop and R&B sample sources has a complete record collection without some of their indelibly chilled, liquid-smooth jazz. Sampled by cutting edge producers like Nas, J Dilla, Kanye West and Drake, library music by the likes of Hawkshaw and Bennett, ironically, helped along the most cutting edge music of the 21st century. Full Circle is an album of stellar, new originals, and it’s nothing less than top-shelf, swinging funk.